TruSpeed is Back at The Grand Prix of Long Beach 2018! 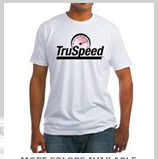 Costa Mesa, CA – TruSpeed returns to the Grand Prix of Long Beach entering the No. 71 Trench Shoring/K1 Speed Audi R8 in the Pirelli World Challenge GT Field this week. Rocky Moran Jr of Irvine California will be running on his home track during the 44th Annual Toyota Grand Prix of Long Beach. Moran will drive the the No. 71 Trench Shoring/K1 Speed Audi R8 LMS sports car from Costa Mesa’s TruSpeed AutoSport. The TruSpeed cars are running in the Pirelli World Challenge GT Event. Rocky is no stranger to the track of the race known as the “Roar by the Shore”. As a driver in the Atlantic Championship he has started an event at the Grand Prix of Long Beach five times. In 2015, he was scheduled to run in the Verizon IndyCar event but due to an injury was unable to race. The famed “Roar by the Shore” is a 1.968-mile, 11-turn temporary street circuit located along the Long Beach harbor and is credited for being a major contributor to the economy of Long Beach. A city known for it’s long time resident, The Queen Mary. A second-generation driver from Orange County, Moran followed in his father’s (Rocky Sr.) racing footsteps. Beginning with karting, moving to single-seat race cars and now running in sports cars. Moran has four top-ten finishes in the Atlantic series at Long Beach in 2000, 2001, 2002 and 2004. In 2005, Rocky led the Atlantic race until a wheel broke with the checkered flag in sight. Moran’s teammate for the Pirelli World Challenge race will be the up and coming 17 year old Parker Chase of New Braunfels, Tex. Chase will be in the another TruSpeed AutoSport GT3 car, the No. 19 Audi R8 LMS this weekend in the Pirelli World Challenge competition. The last time Rocky Moran drove a sports car was in 2011. At that time he was driving a Jaguar in the ALMS series. For the GP of Long Beach weekend, Moran is proud to be sponsored by two Southern California companies. Moran’s major sponsors, are Trench Shoring Company from Compton and K1 Speed karting centers from Irvine. The two TruSpeed AutoSport R8’s call Costa Mesa home bringing yet another local angle to Rocky Morans return to the Roar by the Shore. TruSpeed AutoSports won the 2011 Pirelli World Challenge GT championship with Patrick Long driving. Moran will compete in the GT class at Long Beach which is set for practice at 3:30 p.m. PDT on Friday (April 13). Qualifying is Saturday at 9:20 a.m. PDT with the 50-minute GT/GT4 Sprint event scheduled for Sunday at 10:00 a.m. Both Qualifying and the Race sessions will be live-streamed at World-Challenge.com/streamvideo.